Welcome to my table tennis coaching website. If you are interested in Table Tennis, you have come to the right place. My name is Daniel Ives and I have been a qualified coach since 2008. I am now a high performance table tennis coach with UKCC Level 2 coaching qualification and a first class honours degree in Sports Coaching and Performance. 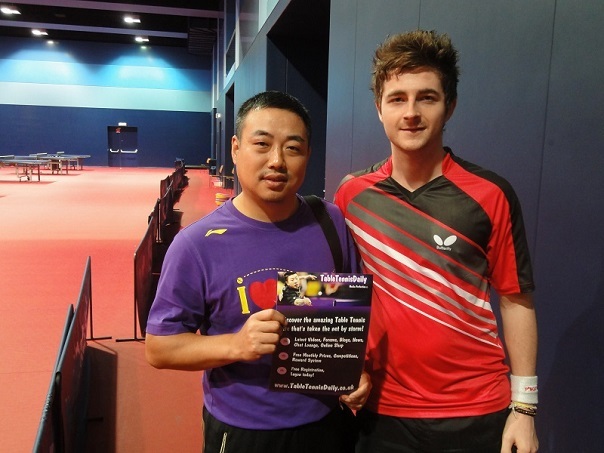 I have worked at the Bristol Table Tennis Academy of Sport where I delivered full coaching programmes. These include technical, tactical, strength and conditioning programmes and lots more. It all began when I watched my dad play table tennis for the first time at the age of 10. I was very impressed by the way he came off the table and his t-shirt was dripping in sweat! Playing football in school couldn’t produce this type of energy expenditure and hard work, I decided to give it a go and after some time my ultimate focus was to make the England Team. At the age of 16 I received a leaflet through the door about an opening table tennis Academy in Bristol which was literally a dream come true. An opportunity I couldn’t resist, I moved to Bristol at the age of 16 and then my life changed completely. I was now an independent student mixing full time table tennis with a full time academic course. I studied (BND + HND in Sport) and trained for 4 years at the Academy (2005-2009) and had the best time of my life. 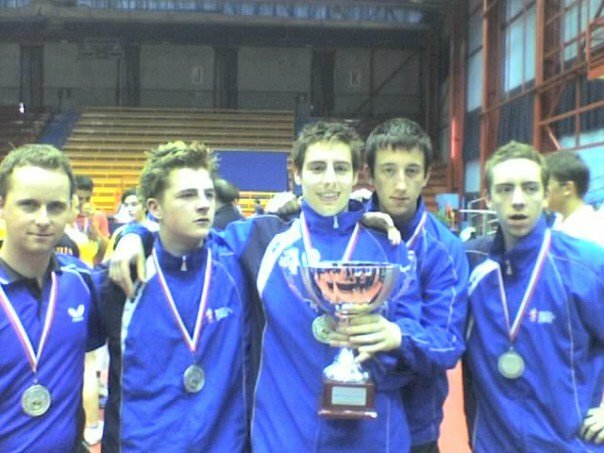 Not only did I advance as a table tennis player and get my dream of representing England in 2007, the Academy developed me as a whole, as a person. I competed in the Belgium league and also received a scholarship to play the French League, however my recuring back injury became a more serious problem and even after 6 months of rehab and physio I was still unable to play competitive table tennis. The doctor told me I had to quit. It was hard for me to accept at the time and I just wanted to stay in the sport. I was always interested in the improvement of players, especially during my time at the Academy. To stay a part of my beloved sport I went into coaching. This is how my passion for table tennis coaching began. In the beginning I committed myself to being the best player I could be, now I channel that same commitment and passion into the development and progression of others. Seeing others achieve their goals and dreams is just as rewarding as being able to compete myself. One of my biggest coaching moments was meeting Timo Boll’s former coach Richard Prause, who is now the current coach of the renowned Werner Schlager Academy in Austria. I spent four days with Richard watching and studying his coaching philosophy. To see a full interview between me and Richard click here. 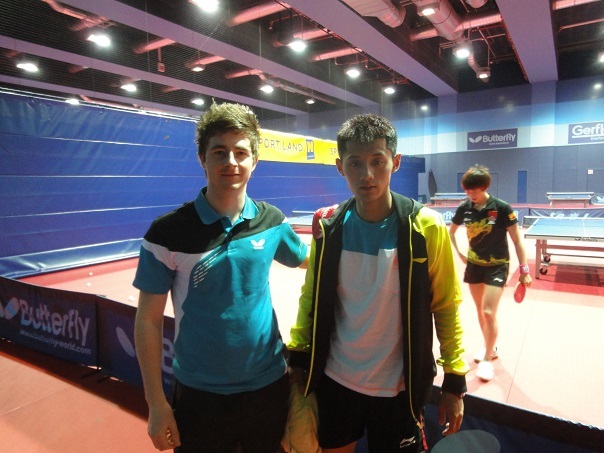 I also met the Chinese National Team Coach Liu Guoliang and current Olympic Champion Zhang Jike!